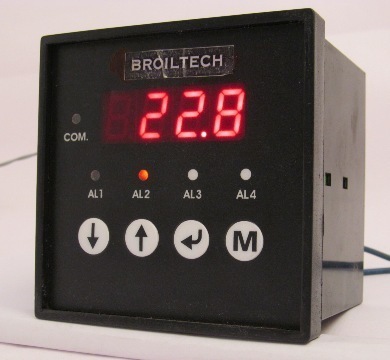 Broiltech developed and produced Universal Input/single Input microprocessor base LSD/LCD controller for all process analog and digital input, and its output also available: relay, retransmitt 4 to 20mA. Our firm is dealing in the manufacturing and supplying of Electronic LED Indicator. The offered LED indicator and controller is a system, which alters the existing conditions of a dynamic system. Our offered controller is provided with a light emitting diode, for the display of the readings. The offered controller has multiple communication ports and relays, for the effective device control. Our offered controller is available at affordable prices. Looking for “Microprocessor Base Controller”?